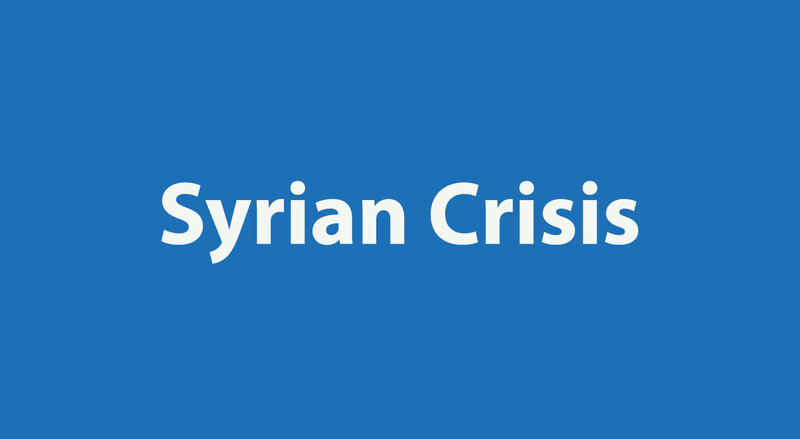 Medecins du Monde calls on the Brussels Conference to address the critical impact of the Syrian Crisis on access to healthcare. The European Union and the United Nations will co-chair the ‘Supporting the future of Syria and the region’ conference taking place in Brussels on 24-25 April. Against the backdrop of a deteriorated humanitarian context, this event aims to mobilise humanitarian aid to Syrians inside the country and residing in host countries. Médecins du Monde (MdM) will take part in this conference and calls upon decision-makers to use their influence to ensure safe, unimpeded and sustainable access to healthcare, and to secure the funding necessary to guarantee that health needs are met and that continuity of care is safeguarded. The current security situation inside Syria remains volatile and unpredictable with a direct impact on a health system where already over half of Syria’s 111 public hospitals and half of its 1,806 public health facilities are now either closed or only partially operational. Moreover, more than half of Syria’s medical staff has fled the country and the education system for medical staff is severely disrupted, with invariably long-lasting consequences on the national health system. Deliberate attacks against medical units reached unprecedented levels in 2018. According to the World Health Organization (WHO), 67 verified attacks on health facilities and workers occurred in the first two months of this year, amounting to more than 50 percent of verified attacks in all of 2017, which totalled 112. Prolonged exposure to the effects of shelling and the intensity of hostilities has caused extreme psychological distress among the community. The mental health workforce is insufficient to respond to the growing needs in this area, especially among children, and continuous population displacement hinders adequate follow-up. Access to healthcare is also a real source of concern for Syrian refugees and vulnerable populations in the host countries of Lebanon and Jordan. In Lebanon, the cost of services and transport inhibits access to healthcare. Geographical and physical accessibility are also barriers, limited by the number of available Primary Healthcare Centres (PHC) in remote areas, where there is often a lack of affordable transportation options, and refugees’ restricted movement linked to their legal stay. Insufficient funding affects the capacity to provide subsidised primary and hospital care. In Jordan, assessments largely show that, in host communities, the cost of healthcare is the most significant obstacle preventing refugees from accessing such services, cited by 74 % of Syrian households as a reason for not receiving care for chronic diseases. A recent decision by the Jordanian government states that Syrian refugees will be requested to pay 80 % of the applicable costs directly, representing a substantial increase from the previous subsidised rates. “Access to healthcare is not a luxury and must be ensured under all circumstances. It is the responsibility of all the key players of the Brussels Conference on Syria”, added the MdM President.